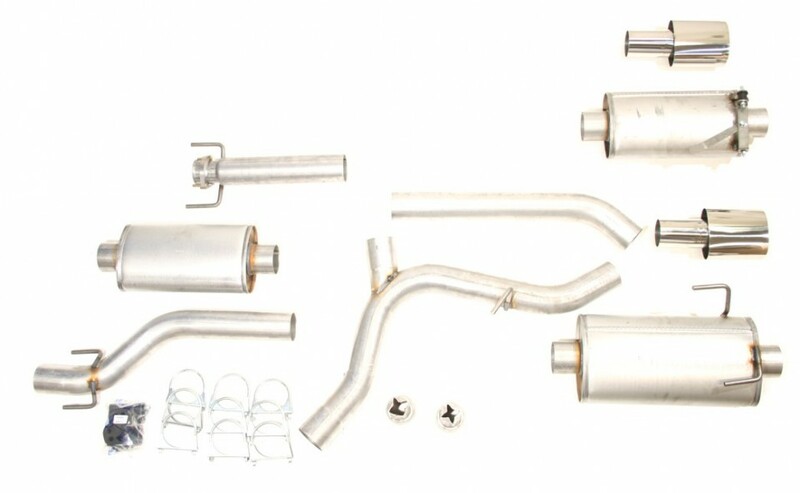 In short: 3" JT Cat back exhaust with twin pipes. Details: 3" (76 mm) exhaust system manufactured from 1,5-2 mm double side aluminized steel. Sound level according to ISO R362: 78 dbA (+2 db). Back pressure reduction: 50% (appr. 600 Pascal). Oval 90x120mm stainless polished tail pipe. NB! On MY02 and up non-Aero models, the rear spoiler needs to be modified to "Aero look" to allow space for tail pipe.